Read the Bernalillo County Greenprint Report for information on the community input and land conservation prioritization process. 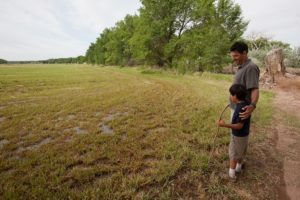 The Bernalillo County Greenprint is a community-driven conservation plan. 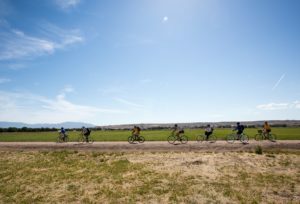 The purpose of the Greenprint is to guide where public funds should be spent to protect open space and farmland and expand access to local parks and trails throughout Bernalillo County. 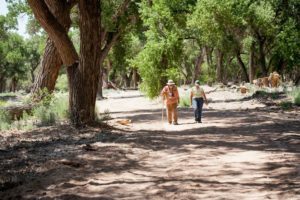 The Trust for Public Land worked with Bernalillo County Parks and Recreation Department and a local steering committee to develop the Greenprint based on community input. Sign up for the Bernalillo County Parks and Open Space Green Pants working group email list. The Bernalillo County Green Pants working group is a collaborative that grew from the Bernalillo County Greenprint process that are dedicated to sharing information, fostering collaboration and helping maximize resources to benefit ecosystems and communities throughout the County.